A lunch set that slows people down and celebrates lunch time by creating a ritual eating experience. We live in an information overload and fast-paced society which can cause us to push the limit of our minds and bodies. We want to be productive, so we always take on too many tasks which frequently leads us to stress about having too much to do and not managing to achieve everything we have taken on. Maybe it is the time to slow down a little bit and enjoy things. 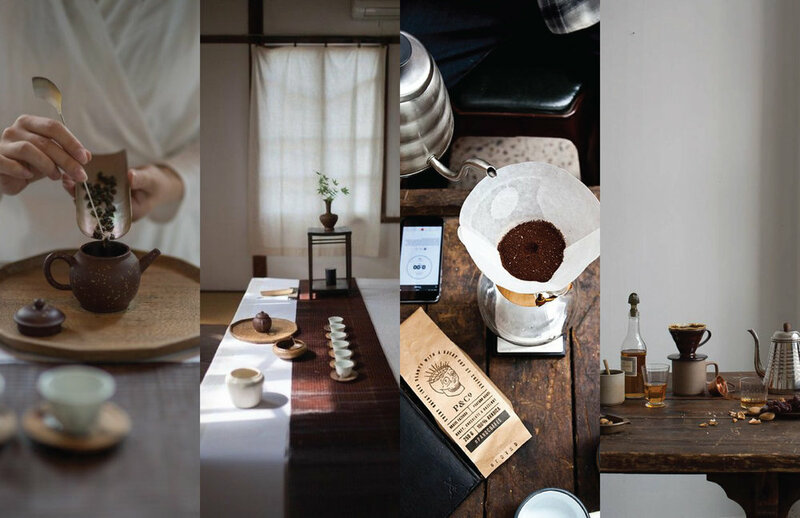 I first looked into things that take time and steps to do like ritual and process of making things, and then looked into things that people enjoy to do. My eyes finally fell on the topic of preparing food. I listed the core qualities I need to achieve for this lunch set design by breaking down the goals of it. Also, studied the form, material and functionalities of related products on the market. After the studies and researches, I started with form refinement and material exploration. 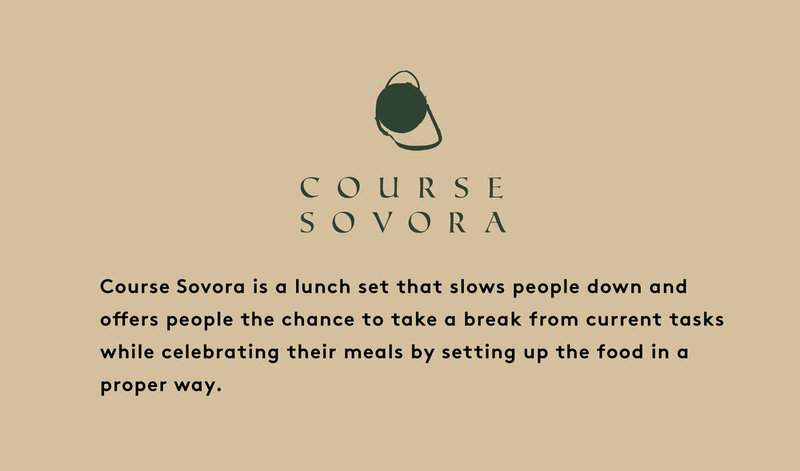 Course Sovora contains one food container, two set of the plates, a set of cutlery, a food mat, some disposable bags for dirty plate and cutlery and a bag to carry all the items. It has most of the parts made by materials that last for a long time, at the same time, materials that need to be taken care of, like leather, melamine and stainless steel with gold finish. This video shows how Course Sovora works. Course Sovora was showing during the year end show of 2018 at UIC. The show was organized for the senior students to show our works to the public.